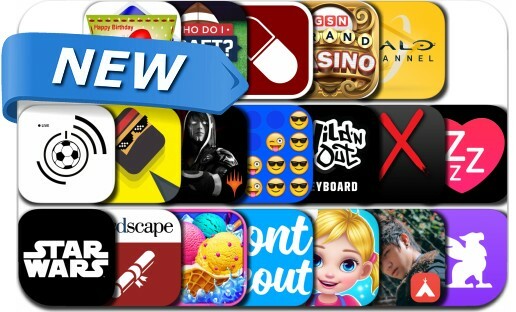 iOSnoops is constantly on the lookout for new apps, and here are 19 iPhone and iPad apps that were released recently. This new apps alert includes Magic Duels, Swaggy Ninja, Star Wars, Wild 'N Out Keyboard, GSN Grand Casino, Emoji Texting Games, Sleep Pulse, Halo Channel, Ice Cream Maker Salon, Halo Channel, FontScout, FantasyPros Who Do I Draft? and many others. FantasyPros Who Do I Draft?